November is here which means it is time to celebrate Adopt A Senior Dog Month. Senior dogs tend to be overlooked in shelters or rescues due to their age and leisurely temperament. Most people when looking to adopt, tend to search or keep an eye out for dogs that are younger and more energetic. Most people also often believe that if they adopt an older dog, their time with them will be limited. But, it is important to remember that no matter how old or young a dog is, a certain amount of time is never promised, and saving a senior dog’s life could possibly be the greatest thing they have to live for, regardless of how long. Shelters are full of older dogs hoping for a second chance at life and many of these animals were once owned and loved by someone, but for various reasons end up homeless. Many of these dogs become depressed and lonely but when it comes to adopting a senior dog, you also have the privilege of choosing the fully-formed personality that best fits your lifestyle. Regardless of the age of any dog you adopt, you are fighting for the value and beauty of life at all ages and stages. Shelters are always overcrowded and unfortunately, older dogs are among the first to be euthanized. By choosing an older animal, you are truly saving a life. It is heroic to see beauty and love where others often overlook. There is not much that is greater than knowing that you are giving a second chance to an old dog and letting him live out the rest of his days in your loving home, instead of a shelter. Most older dogs have already mastered the training basics. A senior dog has learned many of life’s lessons already, and they are quick to understand what you’re asking from them. They are also independent and have mastered the art of being alone or entertaining themselves, unlike a puppy. Older dogs, especially those who have once experienced love and affection, will try to please you by being obedient and showing good house manners. Just because they are older doesn’t mean they don’t want to please you, they have years of experience reading human behavior and by being older, wiser and calmer, he is able to just focus. What you see is what you get with an older dogs. You will never have to worry about how big they will get or what kind of health problems they might have down the road due to genetics or breeding issues, you will know all of that when you adopt them. Older dogs are a known commodity, easy to assess for size and temperament. You also won’t be wondering just exactly how aloof, friendly, shy, or whatever personality type they have–so it’s easier to decide how the senior you choose will fit into your family and your lifestyle. 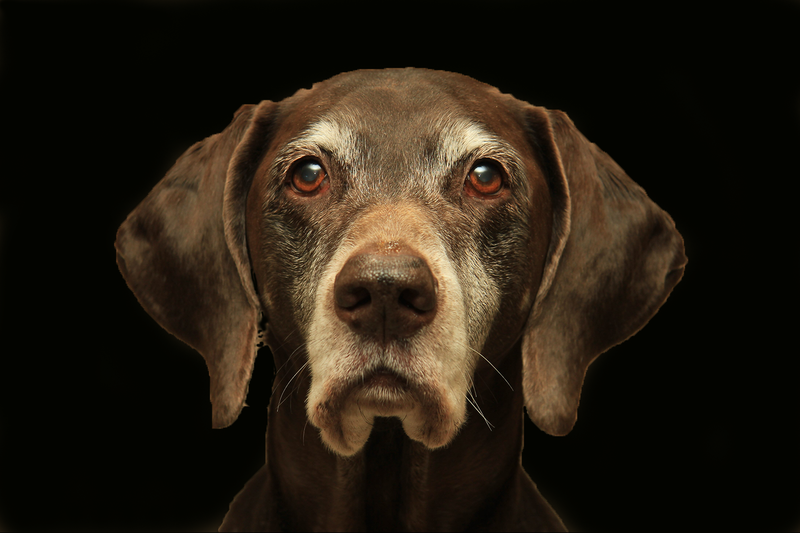 Senior dogs may bear a few scars – both physically and emotionally – but they don’t let their pasts keep them down, no matter how dark they may have been. Dogs have a way of forgiving, forgetting and living in the present. If you give your love to an old dog, you can be sure he will devote the rest of his life to loving you back. Not that youngsters aren’t loving, but seniors have a special love for you for taking them in during their golden years. When you gaze into the wise and worldly eyes of a rescued senior dog, you will see an animal who knows they have been saved. They don’t care where you live, what you look like or what you do for a living; they will dedicate the remainder of their lives to thanking you. He has seen his most active years, and like older humans, just wants to relax. He still wants to go on his daily walk, it helps to keep him moving, which is important for everyone, but he might not care for a hike up a mountain or a long trek through the woods. He will be perfectly happy laying at your feet or next to you on the couch. A senior dog is often less demanding than a highly-energetic, untrained puppy and won’t run you ragged. Most grownup dogs don’t require the constant monitoring and ongoing training that puppies need, so they’re a good choice for older people or busy families with young children. Older dogs tend to adjust to your schedule, relaxing when you relax and sleep while you sleep. They are also the perfect best friend for senior citizens to adopt! The privilege of loving a senior dog makes every day special. For those reluctant to consider a senior because the possibility of a painful loss seems closer, remember that life offers no guarantees. Quality of time together matters so much more than quantity and no days are promised. Senior dogs need homes just as badly as younger dogs and they all make loving and loyal companions. Please help spread the word during Adopt a Senior Pet Month, which is observed throughout the month of November.